When someone tells us to enjoy life. We enjoy life. . . 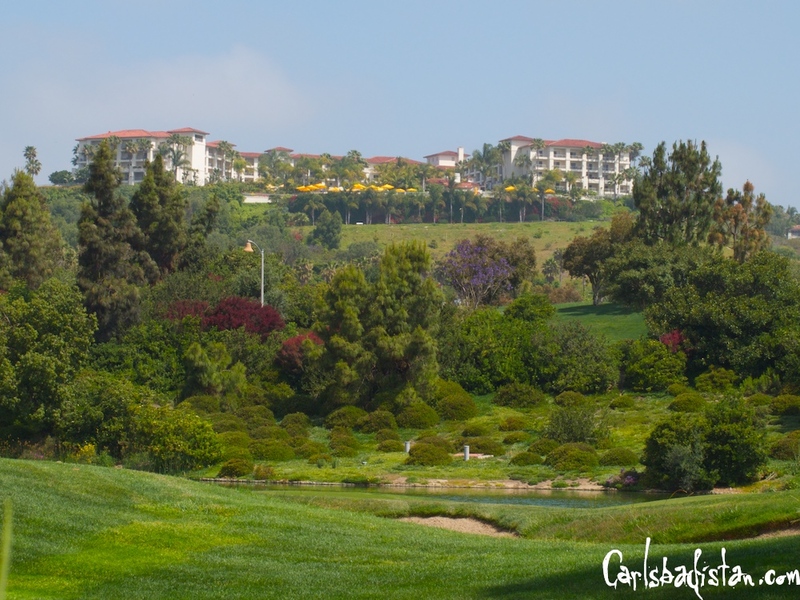 The Sheraton Carlsbad Resort & Spa which opened on February 25, 2008 has announced that Chris Draper is the new general manager. Draper is the former Executive Director of Food and Beverage for Mammoth Mountain Ski Resort which includes 28 food and beverage outlets and expansive catering operations. In addition, his position also oversaw the facilitation of the contract for the acclaimed Patina Restaurant Group affiliation with the mountain. . . Prior to that, Draper worked 25 years with the Hyatt Hotel Corporation where he was a general manager and held various food and beverage management positions. Wonder if Mr. Draper is going to miss all that snow? We certainly do. In an arbitration meeting today the Four Seasons’ management company and Broadreach Capital Partners (the owners of the Aviara resort) decided that the entire matter should be continued until the week of June 15, 2009, according to Four Seasons Director of Public Relations Tony Pistillo. “At the direction of the arbitration panel, we have no further comment,” Pistillo said in an email. The meetings, set to resolve a dispute in which the resort’s owners are attempting to replace Four Seasons as the property’s management company with the New Jersey based Dolce Hotels and Resorts, came on the heels of the resort’s most visible event of the year, The Wall Street Journal’s D7 | All Things Digital Conference. The event, which featured titans of the digital and media business, brought Carlsbadistan, an unbelievable amount of press. We’ve always said that Carlsbadistan’s Museum of Making Music is probably the finest unknown museum in San Diego. And now, we have a chance to help the museum be a little less unknown by voting in the San Diego Union-Tribune’s “Best of San Diego 2009” poll. From now until June 7th, you are invited to cast your vote for San Diego’s Best Museum as nominated by visitors to signonsandiego.com. We are extremely honored that the Museum of Making Music was nominated and recognized in this poll. We didn’t know that summer was election time, but we’re still going to vote for Carlsbad every single time. Click here to cast your vote. 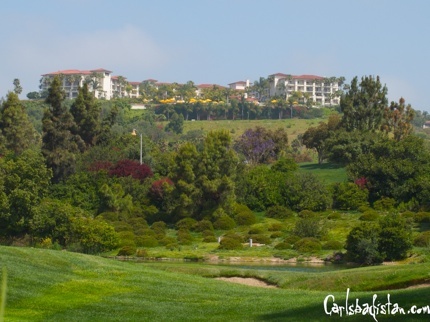 And while you’re at it vote for Legoland, La Costa Resort & Spa, Buffalo Brothers, Broken Yolk, Karl Strauss Brewing Company, Islands, Bistro West, Tip Top Meats, Pizza Port, Carlsbad State Beach, and all the other Carlsbadistan nominees we missed. Worried about keeping the kids busy this summer? 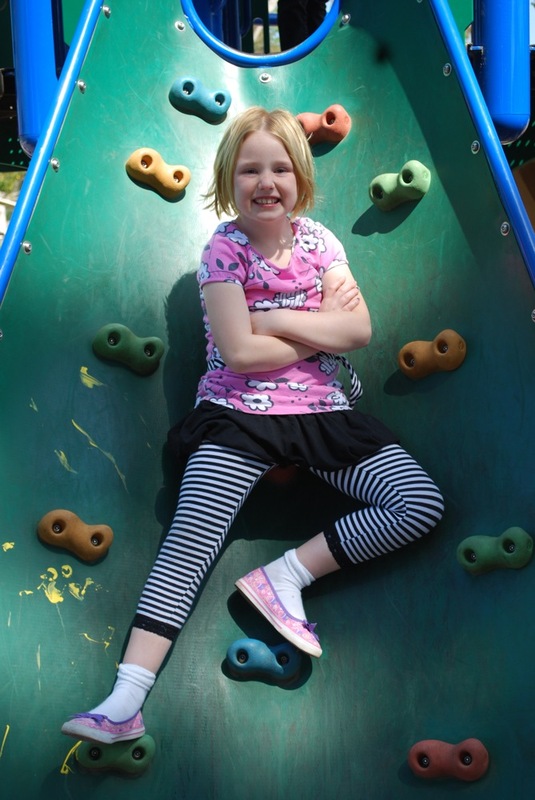 The Boys & Girls Clubs of Carlsbad have an affordable answer with Kids Kamps. Whether it’s playing on a sports team, creating artwork, designing a power point presentation on the computer, going to the beach and park, or venturing out on a field trip, all this and more is available to Club members. Each week features a unique theme and activities to match, as well as field trip options. . . Kids Kamp is available Monday through Friday from 7:00 am to 6:00 pm. Please call the Village Branch at (760) 729-0956 or La Costa Branch at (760) 944-9211 to make your reservation. Kids Kamps sell out early … so be sure to enroll soon! Sounds like a perfect summer escape. . . for everyone. Click here for the Summer Program Guide as a .PDF. Want to know how Lisa Irvine and her crew of number crunchers go about setting up the budget for the City of Carlsbadistan? Well, want no more. On June 4, 2009 at 6 PM at the city’s Faraday Center everyone will get the chance to review the city’s 2009-10 budget, ask questions, and provide feedback that will be presented to the City Council. The City Council is scheduled to receive a report on the fiscal year 2009-10 budget June 2 and consider it for adoption June 16. . . For more information, contact the City of Carlsbad’s finance department at 760-602-2493. . . .Regular updates on the city budget and financial forecasts are available on the city’s Web site at www.carlsbadca.gov/finance. Sure, the City Council is going to see it first, but at least we’ll all have time to give feedback before they adopt it. At the 2009 US Open of Surfing this summer in Huntington Beach there will be a special event called the World Professional Surfing All Stars in which a group of surfers (chosen by “the people”) will compete in a special contest. At this year’s Hurley US Open of Surfing in Huntington Beach, 10 of the world’s best surfers including four World Champions Kelly Slater, Mick Fanning, C.J. Hobgood and Andy Irons plus six others surfers – voted on by you – will attend the event and participate in all the All-Star related activities. Carlsbadistan’s Taylor Knox is on the list of nominees and we need your help making sure he makes the list. Click here and vote for Taylor. 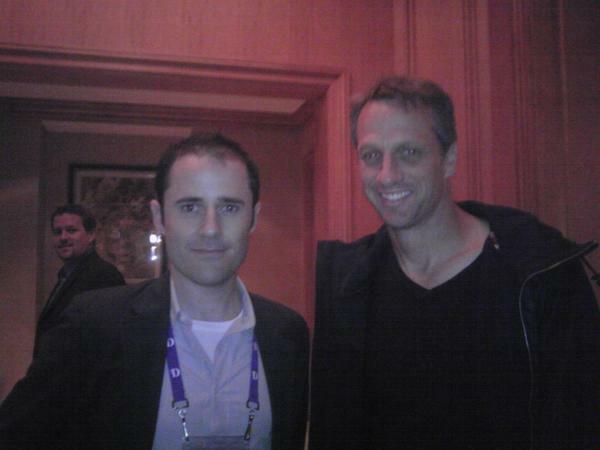 According to a recent tweet, Carlsbadistan resident Tony Hawk was meeting with some T-Mobile people at The Wall Street Journal’s D7 | All Things Digital conference when he ran into Twitter co-founder Evan Williams (@ev). Tony is well on his way to being Evan’s next million follower man. . . between them they have 1.5 million followers. We’ll all be able to taste the flavors of The Village this Sunday, May 31, 2009 from 3-6 PM as 20 of Carlsbadistan restaurants serve of samples of their cuisine during The Carlsbad Village Associations Flavors of the Village Restaurant Tour. “Come sample our broad array of international foods in the Village” invites Robin Young, Executive Director of the Carlsbad Village Association (CVA), “The Flavors of the Village in Carlsbad offers Irish, French, Mexican, Italian, Vegetarian and, of course, American cuisines – literally something for everyone”. . . Participating restaurants include: Beach City Smoothies, Caldo Pomodoro, Carlsbad Chocolate Bar, Dini’s Bistro, El Puerto, Fish House Vera Cruz, Gregorio’s, Hennessey’s, Knockout Burgers, Knockout Pizza, Las Olas, Le Passage, Naked Café, Ocean House, O’Sullivan’s, Pizza Port, Pollos Maria, Senor Grubby’s, Submarina and The Wine Spot. Strangely, many of our favorite restaurants aren’t participating, but we’re going to use this as a chance to get off our well-worn path and try something new. Last night’s headliners at D7 | All Things Digital Conference at The Four Season Aviara were Evan Williams and Biz Stone, the founders of Twitter. 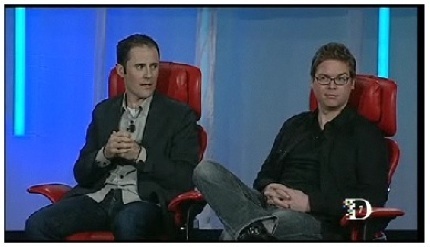 The two answered some pretty hard-hitting questions from the Wall Street Journal’s Walt Mossberg and Kara Swisher, but mostly they just said, “We need to do a lot of work on the business” over and over again in very clever, engaging ways. Click here to watch a highlights video.